After 50 years of successfully making sales all over the world. After delivering more than 2,500 customized speeches to the world's biggest companies. After establishing an unrivaled social platform with millions of views and followers. After leading the marketplace with Sell or Die podcast. After delivering more than 350 sold-out public seminars to audiences all over the globe. 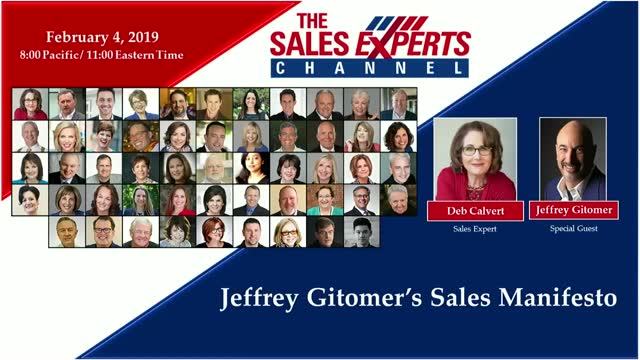 Jeffrey Gitomer has finally written the SALES MANIFESTO. A book that sets the standard, and lays bare what it will take for salespeople to succeed now, and for the next decade. This book is not just the answer - it's a no bull book of ANSWERS and ACTIONS that will put you on top of your sales world and keep you there.